Happy Book Birthday to I Found You by Lisa Jewell! A thrilling mystery that leads you to cling to every page as you seek out the identity of the mystery man on the beach. I Found You is the second book that I have read by Lisa Jewell. Last year, I reviewed The Girls in the Garden. Similar to her previous book, Lisa Jewell, puts an emphasis on her characters and relies on their ability to drive the story. Alice, a single mom, with three children from three different partners lives in a remote town by the sea. Her daily routine is interrupted when she comes across a stranger sitting by the water. The man appears to have forgotten who he is and what it is that has brought him to this quaint town. Alice befriends the man and attempts to help him through his amnesia, potentially putting her and he children at risk. As the two dig deeper into the man's life, they slowly unravel a secret that has been buried for almost 22 years. I was a bit hesitant to read I Found You because I had a hard time relating to her previous work. I am glad I put my skepticism aside. I read this book cover to cover on a while on a three hour flight. Despite my flight leaving at 6am, I could not put it down! The characters were well developed and easy to relate to. Lisa Jewell takes you on a journey through two different timelines which eventually meet and unfurl the mystery that surrounds the stranger on the beach. Fans of mystery/thriller novels will surely enjoy the twists and turns that Lisa Jewell has laid out for her readers. I Found You is a book you'll definitely want to add to your Spring reading list! I'd love to hear from any other readers who have read any of Lisa Jewell's previous novels. Are there any other that you'd recommend? Let me know in the comments! 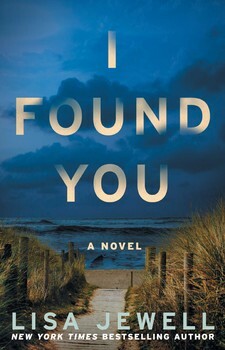 Disclaimer: I received an advanced copy of I Found You by Lisa Jewell from Simon & Schuster for an honest review. All opinions are my own.